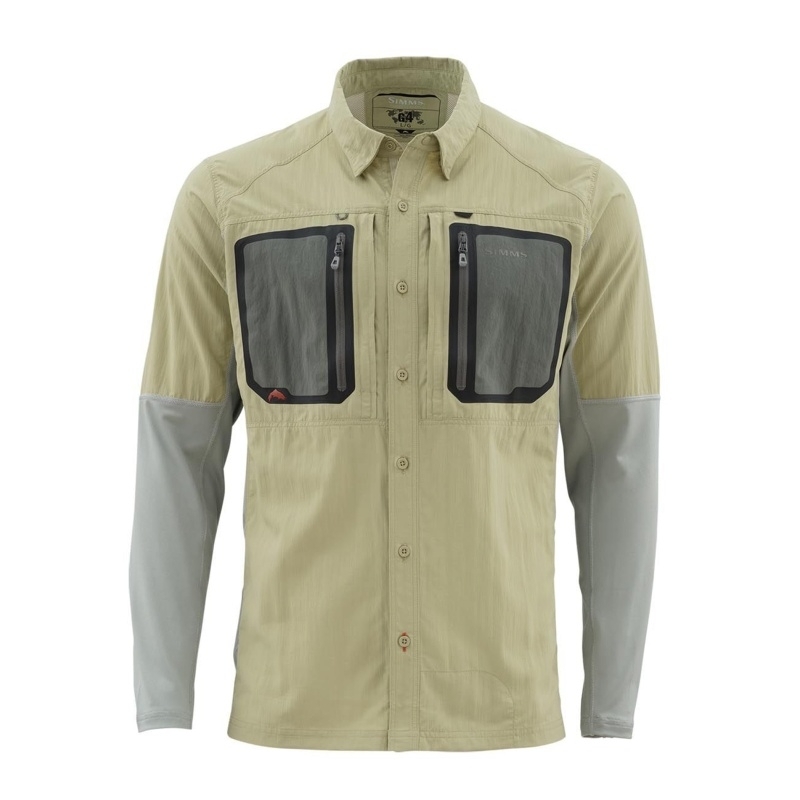 One dynamic shirt to rule diversified fishing applications, SIMMS' Taimen Tricomp LS boosts casting and rowing range-of-motion thanks to Action-back patterning, while durable ripstop nylon fabric breathes easy, dumps moisture, and dries quickly. Additional features include strategic knit paneling and UPF50 sun-shielding COR3 tech, harmonized with the A/C-like feel of Cool Control fabric throughout the sleeves. 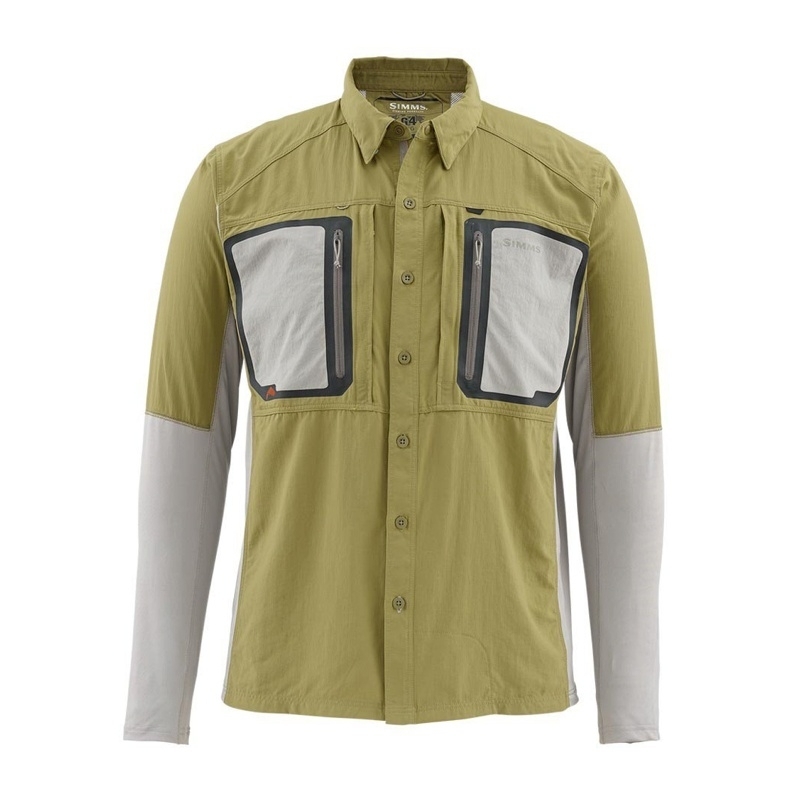 Anglers will also appreciate welded and mesh-backed zippered chest pockets that deliver fly-box storage, rugged cording and accessory tabs to secure tools, and the sunglasses cleaning heroics of a fulltime chamois conveniently located inside the shirt's hem. 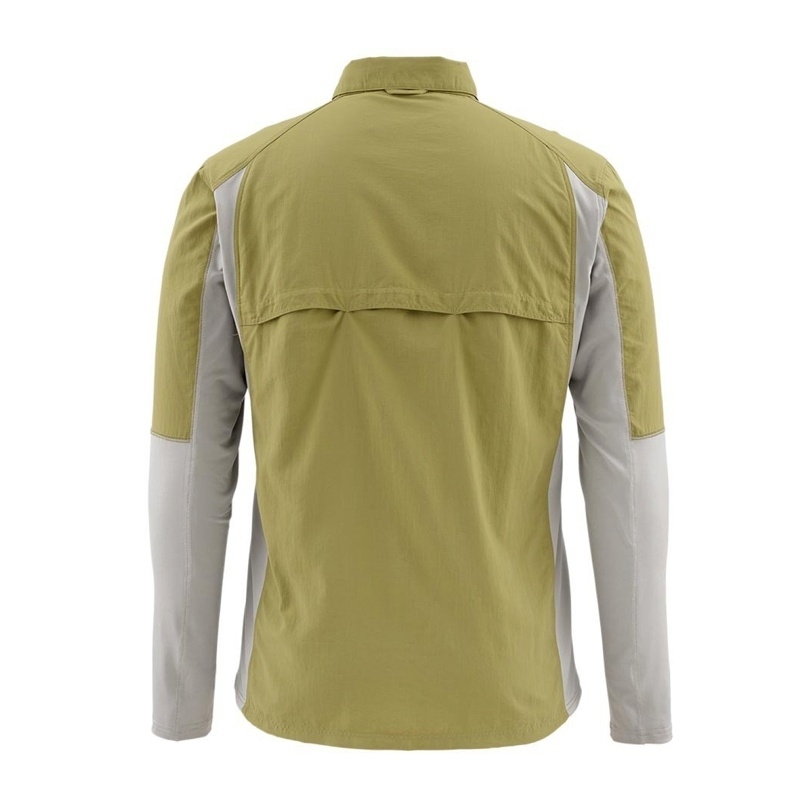 Taimen Tricomp LS Shirt available in 5 sizes: #S - #XL and 3 colors: Army Green, Sage, Lead; approximate weight: 294 g.